We’ve now had the first frost of the year! So if like myself you are already starting to notice condensation appearing in your car windscreen, you should act now. Before you know it this condensation will lead to ice on the inside of your windscreen – never mind getting rid of ice on the outside, that takes long enough, but getting rid of condensation on the windscreen is another problem! The most efficient way of removing it is with a Condensation Remover. Quality fine. Used them in a moist closet. Purchased these to help with condensation in the car,works perfectly! Very pleased. 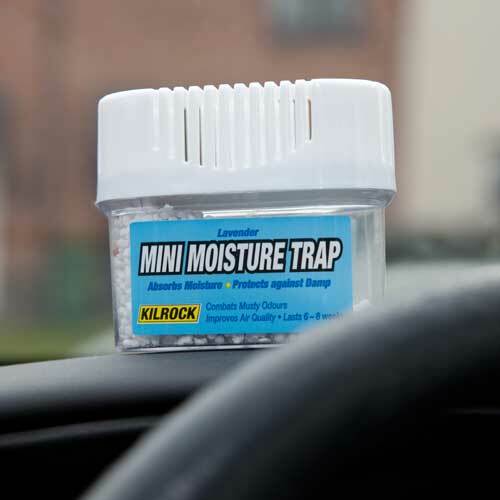 That’s your car sorted but what about the condensation that is appearing in your homes? If you leave this to continue you will start to see the accompanying mould on the window frames and worse because damp is the main cause of damage to materials in the home. In fact moisture, condensation and damp feed toxic, and often invisible, household moulds so whenever you see this condensation you need to stop it before more damage is done and there are several steps to removing this problem from your home…. The reason condensation forms on your windows is because of excess humidity in your home. This manifests itself in the form of condensation on the coldest area of a wall, usually the windows. When the warm air (and the moister it retains) comes into contact with the colder glass in your windows it cools and releases moisture in the form of condensation. So the first way to reduce condensation is to control and reduce humidity and increase air flow, thus increasing ventilation in your home is a must. How do you do that? Whenever you have a bath or shower make sure you ventilate the room. The easiest way is to open the window and close the door – many people simply open the bathroom door which means all that moisture is simply going into the rest of the house which isn’t what you want! The same applies to drying clothes. We all need to dry our clothes inside the house, especially in Winter for obvious reasons, but ideally drying clothes in a room such as your porch or any room you can shut off from the rest of the house is a good idea. Large amounts of moisture are generated in a house from these two activities, so taking such actions does help.